Running from the Gulf of Mexico to the Atlantic Ocean, Duval Street is the epicenter of Old Town Key West's famous party atmosphere and perhaps the most popular destination in town. Spanning just over one mile, this main drag of downtown Key West is where you'll find the hottest action - from the best restaurants, nightlife, pubs, and attractions to boutiques, cafes, museums, landmarks, and art galleries. Whether you're looking for fun souvenirs, a spot to grab a quick bite or to kick back with a cocktail at sunset, Duval has it all. Hang out at Hog's Breath Saloon, mingle with locals at the Green Parrot, stroll through a butterfly and bird terrarium at the Key West Butterfly and Nature Conservatory, and catch the sun sink into the Gulf at the Sunset Celebration at Mallory Square. With a vibrant history and a reputation for fun, explore this lively entertainment district that comes alive from dusk to dawn. Where can I eat on Key West Duval Street? Duval Street in Key West is inundated with tasty island restaurants ranging from seafood to pub fare. Whether you’re looking for a casual place to sit, eat and drink, or for a more refined meal, you’ll see just about everything on Duval. With the Hard Rock Café, Margaritaville, Hog’s Breath Saloon, and Sloppy Joe’s at its core, Duval offers tons of local favorites including La Trattoria, Blue Heaven Restaurant, Nine One Five Bistro and Wine Bar, Grand Café, Bagatelle, and Mangoes. Keep walking up or down Duval Street for more restaurants, cafés, and bars that will satisfy any craving. Is there parking on Duval Street in Key West? Yes, there are always parking lots to try on or near Duval; however they are all first come, first serve and fill up fast. Although we suggest leaving your car at the hotel and walking this 2-mile island, you can try to find a spot at city-owned or private lots. There is a small lot on Petronia St. and Duval, as well as at the Key West Butterfly and Nature Conservatory. 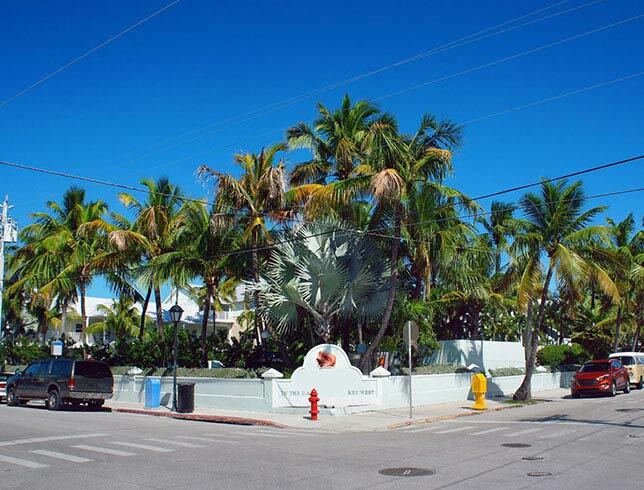 There are other lots just a block away in every direction, and at Mallory Square.